Most people know Madagascar from the popular series of cartoons, portraying a wild island inhabited by a hard partying, singing, dancing lemur kingdom. A few more people might have a more realistic view of the island nation from David Attenborough’s mini-series on Madagascar. It’s hard to explain to someone who’s never actually visited Madagascar, the tragic beauty of the place, its people and its wildlife. According to the World Bank, 70.7% of Madagascar’s population was living in poverty in 2012 and little has changed since. The poverty of Madagascar is stark, too. Even in relatively wealthy parts of the country, young children dressed in rags can be seen collecting pennies from drivers by filling potholes in the road by hand. If a tourist is eating next to a window at a restaurant, it’s common for local Malagasy people to stand outside and watch sadly until given some small piece of food. While I was volunteering coordinating tree planting in Madagascar, I saw men lined up daily vying for day work that paid $5.00 for up to eight hours of manual labor. The Huffington Post reported in 2016 that almost 850,000 people in Madagascar were facing ‘alarming’ levels of hunger. The hunger and poverty in Madagascar is caused by deep political problems, drought, and a history of outside exploitation. With stark realities like these, it isn’t surprising that wise use of natural resources is low on the list of priorities for many. According to NASA, approximately 94% of Madagascar has been affected by deforestation. This includes the 90% of forest that Madagascar has lost. Logging for money, especially of valuable hardwoods like rosewood, is part of Madagascar’s deforestation problem, but more forest is lost to slash and burn agriculture. Slash and burn ‘tavy’ is a common practice for clearing agricultural land for rice paddies and other crops but it’s a very short lived solution. Quickly soils are ruined and the tavy farmer must move onto a new piece of land and repeat the slashing and burning of trees, thus pushing a quickened pace of deforestation. Destruction of forest for short term gain is just one problem for Madagascar. Madagascar is a unique and special place. 3.2% of the world’s plant species live in Madagascar as well as 2.8% of land vertebrates, which is pretty impressive for such a small place physically. Most of the world’s chameleon species live only in Madagascar and all the world’s lemurs are native only to the island. Even as the forests have been going up in flames, scientists have discovered amazing, tiny chameleons that fit on the head of a match and other species new to science. The island is bordered by reef systems already damaged by bleaching caused by a rise in temperatures. Now desperation, greed or simple necessity is driving Madagascar’s government to further threaten their oceans. 44 concessions are now open for exploration, none of which have been explored before. The area now open represents some 24,440 square miles in the Mozambique Channel to the west, between Madagascar and mainland Africa. This is exciting news for the hydrocarbon industry, The Pacific Standard reports. Environmental and social groups are less pleased about the opening for oil exploration. The environmental and economic impact of such a move hasn’t been thoroughly evaluated they argue. So far, there have been no major oil discoveries in Madagascar and the only oil development has been onshore drilling operations in the west. The reason for excitement by the hydrocarbon industry comes from the concessions proximities to Mozambique where large reserves of natural gas were discovered offshore in 2010. In February, representatives of the Malagasy government will continue to promote the exploration concessions in Houston and London, hoping to bolster more interest. Any deals reached would probably take the form of profit sharing, with the Malagasy government receiving a percent of profits after a certain threshold is reached. Even if there is nothing found during exploration, conservationists worry that the exploration itself could cause problems. The Guardian reported in 2008 that 100 melon-headed whales (Peponocephala electra) were mysteriously beached in a shallow lagoon in Northern Madagascar. 75 of the beleaguered whales died. An independent review panel by the International Whaling Commission found that the most likely cause of the whale stranding came from a multi-beam echosounder system. This system was being used by an Exxon Mobil survey vessel to map the area seafloor. Some of the exploration concessions also overlap with marine protected areas as well as areas managed by local fishing communities. 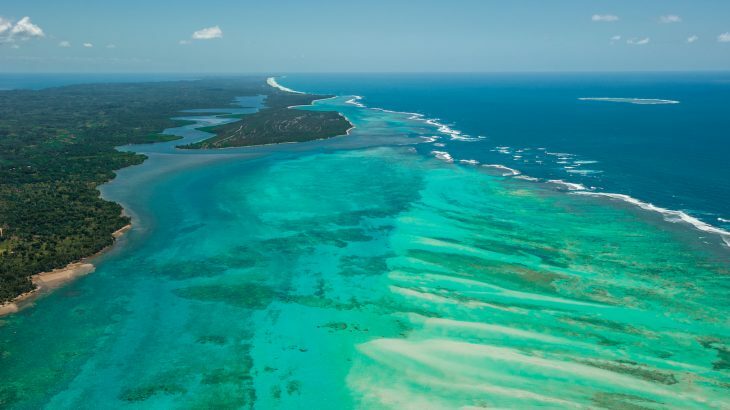 The government of Madagascar argues that the exploration concessions won’t negatively impact the marine protected areas or fisheries but this seems like an untenable promise to make.